I’m sure many of you have had this issue of Quilt Now for several days now, but my postie decided not to deliver any post at all to us for 2 1/2 weeks, and I’m lucky I even got it yesterday! 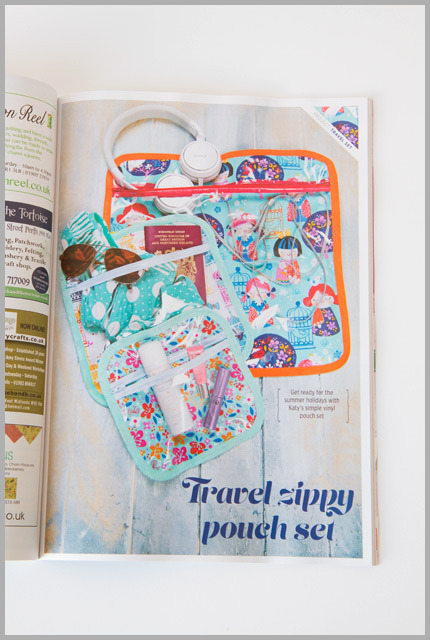 It was lovely to discover that I’d made the cover again – when I submitted those wee pouches I was very worried that they were too simplistic, but apparently that’s what made them appealing, who knew! 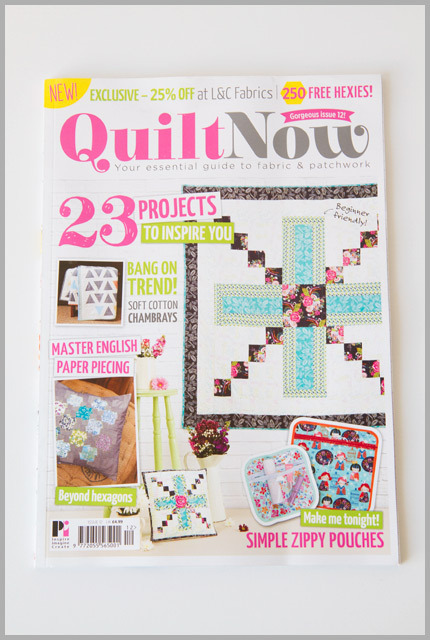 It was my first issue partnering up with Remnant Kings, a local chain of shops which sells fabric of all sorts, from home decor, to dressmaking, to, of course, quilting both in store and online. This is a new area that they are expanding into, and they have some really fun fabrics in stock, like the Robert Kaufman Japanese girls that I used in the project. All supplies are available from Remnant Kings in store and online, and if you live locally you can order online and pick up in store. Those pouches are wonderful. What a great idea! Well I think those wee zippies are genius! Well deserved cover photo, missus. And that's one more reason to miss the Stirling Remnant Kings, too. Good for them updating themselves, though. Those pouches are brilliant! Did your postie go on holiday and forget to tell anyone? !